The most exciting - and world-changing - developments of the coming decades are likely to be in biological engineering, writes futurist Tracey Follows. What will be the most exciting and essential companies or brands in 2035? They probably don’t even exist yet, but there’s a good chance that, when they do come, they will be operating in the areas of digital health, genetic engineering, nutraceuticals, or possibly immortality itself. An accelerated advancement in the field of systems biology is what is behind all this, with millions of dollars of venture capitalist funding flooding into life sciences. There are now as many as 12 Bio schools at Stanford alone. Genetic engineering is probably the area of systems biology about which the general public has most awareness. One of its sets of tools is CRISPR, a genome-editing system that enables scientists to change the expression of genes in living cells. The ability to do this could mean the elimination of all kinds of genetic diseases or alteration of DNA in a way that becomes permanently sealed in the germ line, and therefore inheritable by future generations. It could mean the modification of future humans. There is a lot of research at a microbial level. Combining synthetic biology and methods for deciphering bacterial communication could lead to the creation of designer microbial services. Teams at Princeton University are investigating the ways in which bacteria use chemical signals to co-ordinate group behaviour. So it could be that we put bacteria to work, using them in a co-ordinated fashion (like swarms of bugs) to break down materials, rebalance our environment or distribute medication at a cellular level. Biology, of course, includes the brain, and research is ongoing into linking brains to one another, or even linking together many of them. Such networked brains could perform tasks we can’t even imagine today, but the "hive mind" is a real possibility. At Duke University, researchers have electronically linked the brains of rats, while in a pilot study at the University of Washington one person’s brain signal was sent over the internet to control the actions of another person’s hand. Could we, then, be on the brink of synthetic telepathy? Could we end up being able to communicate across species? It would make Doctor Dolittle obsolete. If you think this all sounds like science fiction and has no application in reality, that is probably because all the media stories and start-ups we see are about software engineering and computerisation. The world is in thrall to Apple, Google and every other successful company founded on computational power, but there is a much more powerful story unfolding that involves us as a biological species, not just a cognitive machine. Digital has been disruptive, but arguably not nearly as disruptive as it seems the life sciences are going to be. We are obsessed with artificial networks, but our own natural networks within our species, as well as the natural networks of the environment in which we live, will be the true interfaces of the future. 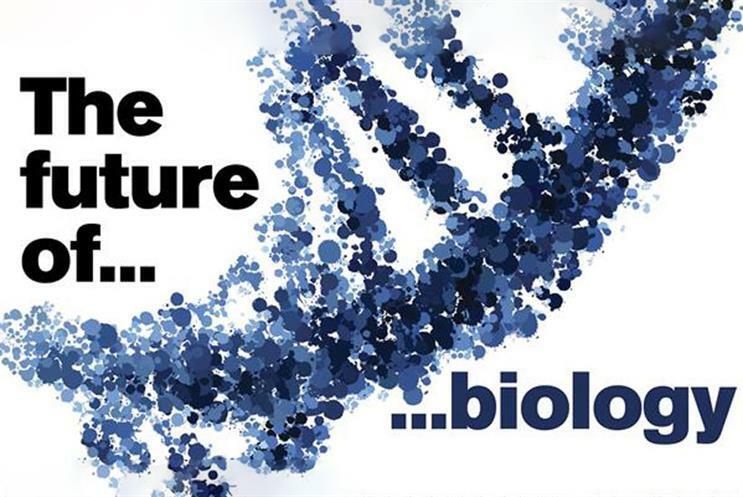 In fact, rather than looking toward engineering, perhaps we should be looking to biology (our nature, both inside and out) for inspiration, understanding and problem-solving in the future. Biomimicry is an approach to human problems based on emulating nature’s own patterns and strategies, with a view to building more sustainable futures. The very least brands could do now is stop thinking of themselves as operating systems and start thinking of themselves as living systems, building brands through biomimicry. For food, transportation and travel brands, health brands, and indeed any brand whatsoever, now is the time for a new metaphor.